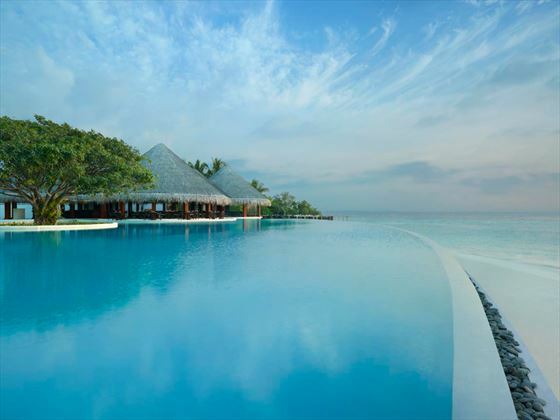 Sophisticated and luxurious, Dusit Thani Maldives offers a wonderful vacation destination in a paradise location. 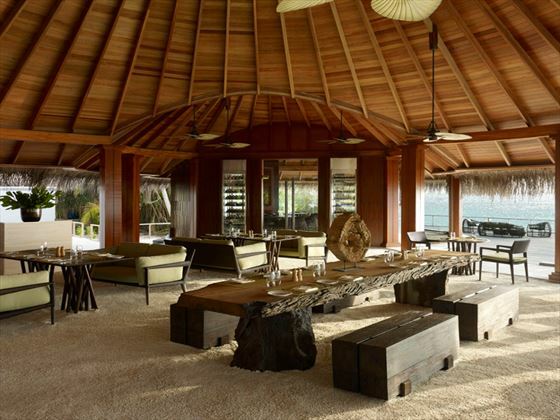 You’ll be treated to warm Thai hospitality from the moment you arrive, ensuring a stress-free and indulgent escape. 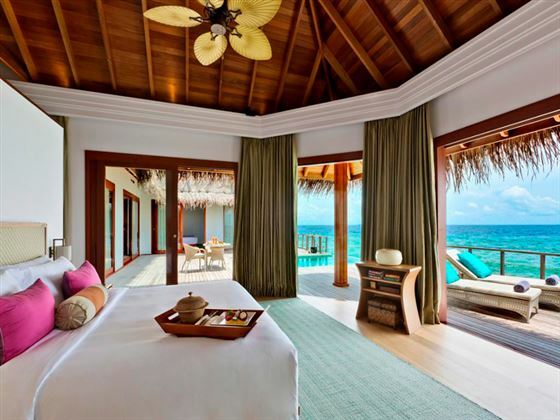 Accommodation at this resort is chic and spacious, with a great selection of categories to choose from to suit you. 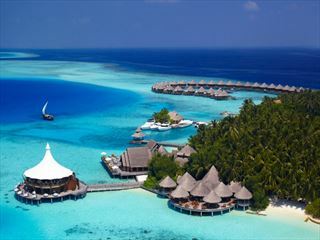 Each looks out onto spectacular scenery of the Indian Ocean, tropical foliage and pure white sands. 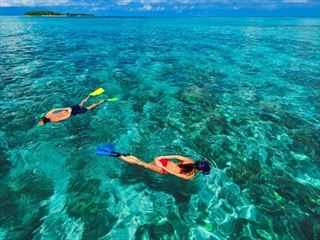 The quality diving and snorkeling is utterly superb – but you can just spend your time relaxing on the beach or getting indulgent spa treatments if you prefer. 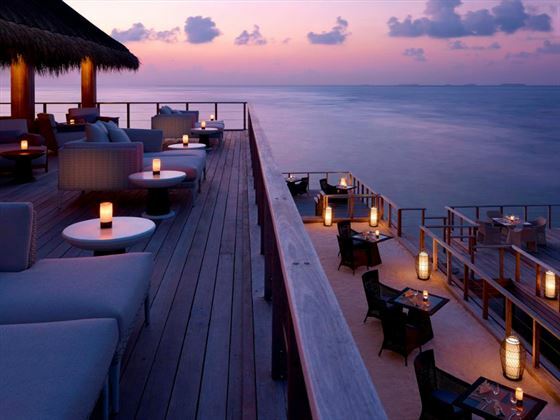 The restaurants and bars are stylish and serve up a great selection of authentic dishes and refreshing drinks. If you’re traveling with kids, the on-site club caters to younger guests perfectly with a wide-ranging mix of activities to enjoy, from treasure hunts to crafts. 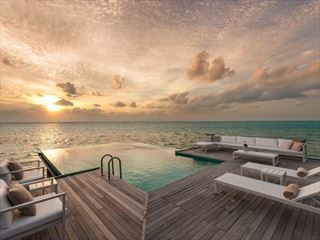 Making the most of the breath-taking scenery that the Maldives is famed for, this resort provides an elegant and contemporary setting for your vacation. 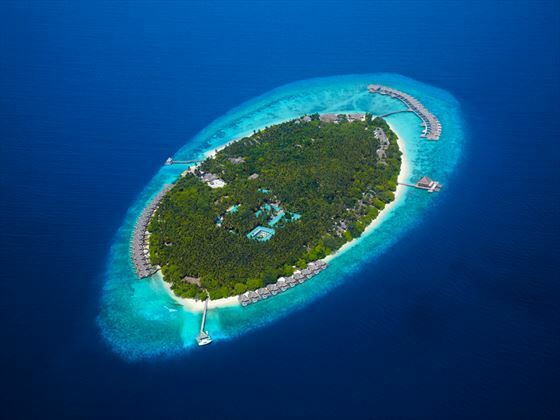 Further reading: Dusit Dhani Maldives is featured in our guide to the top 10 luxury hotels in the Maldives. 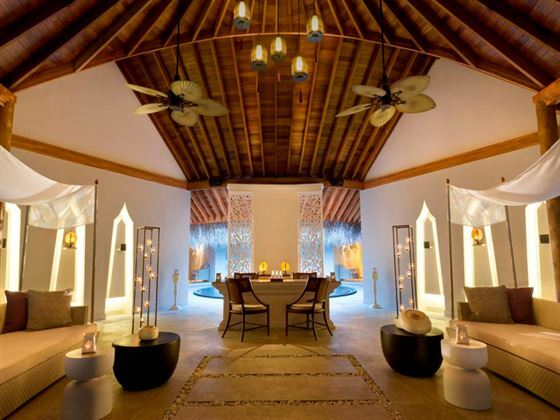 Based in the Maldives on Mudhdhoo Island in the Baa Atoll, the resort enjoys stunning white sand beaches and gorgeous views out onto the Indian Ocean. 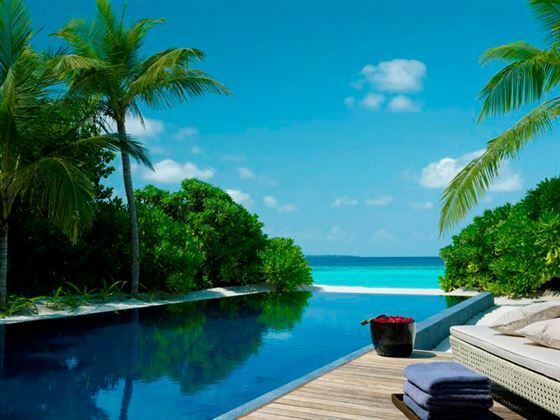 There is a total of 94 luxurious villas.